The Sixties are still as popular as ever. The 1960’s supermodel Verushcka was not always the famous, iconic model, actress and artist she is today. 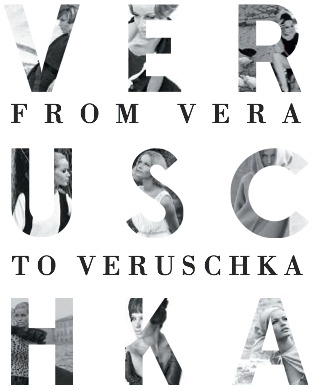 Veruschka was once Vera; a fresh-eyed, excited new German model. Fashion photographer Johnny Moncada photographed this striking model-to-be when she was simply known as Vera. Thousands of beautiful photos were taken, never developed, and sealed away in his trunk. Until now in a new book from Rizzoli New York. Fast forward a half a century: Moncada and his daughter unseal this trunk and find thousands of negatives of the famous, beautiful Vera. Three thousand professional and informal poses provide irreplaceable information on 1960’s glamorous fashion and culture. These photos were taken over a course of a year in Rome, Capri, Sardinia and more stunning locations. These photos give a glimpse into the transformation of Vera to legendary Amazonian model Veruschka, right before the Moncada’s eyes. We can’t get enough of these images. Beginning in March 2014, these never before seen precious photos will be sold in a lavish hardcover edition, featuring 175 color and black and white photos. Photographer Johnny Moncada worked with the most famous models of his time and was published in Italian Vogue, Linea Italiana and Harper’s Bazaar. Franca Soazzani, editor-in-chief of Italian Vogue, Hamish Bowles, European editor-at-large for Vogue, Moncada’s author and respected art dealer Valentina Moncada, Massimo Di Forti, Italian journalist and world-renowned art director Antonio Monfreda all contributed to this one-of-a-kind hardcover.